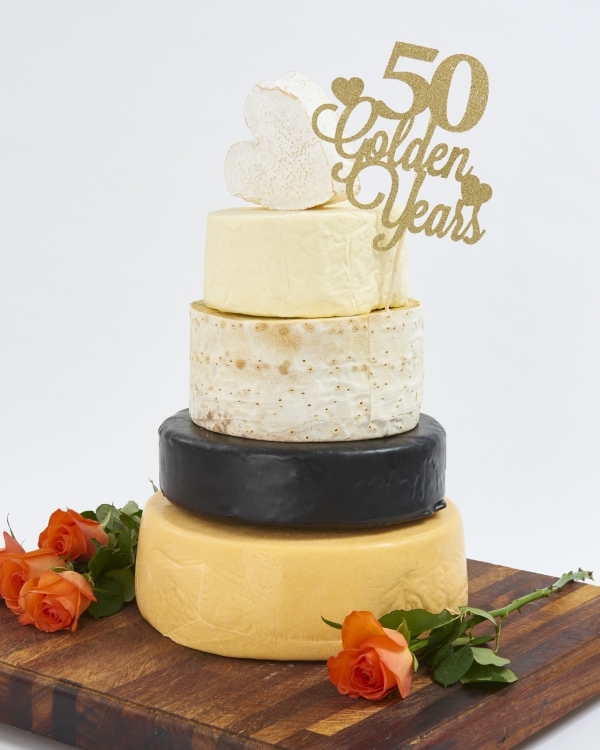 Why not celebrate your golden wedding anniversary in style with our luxury Golden Wedding Cake? Made up of 5 sublime layers of carefully hand selected cheese you will be sure to wow your guests and leave them wanting more! This cake serves approximately 75 people. If you would prefer to taste before you buy you can purchase a sample box of all the cheeses that go to make up The Golden Wedding Celebration Cheese Cake.